Modern house, pretty cozy, not far from the city (15-20min) drive, close to public transport and supermarket, have a backyard. I have 1 bedroom available with built-in robe and ceiling fan, and is 3 metres x 3 metres. 1 bedroom is currently tenanted. New house with modern appliances. Fully furnished living area. Within a 2 minute walk to train and bus that take you into the Adelaide CBD, Marion Shopping Centre and Flinders University. The bedroom is currently unfurnished but I am happy to furnish if you need. 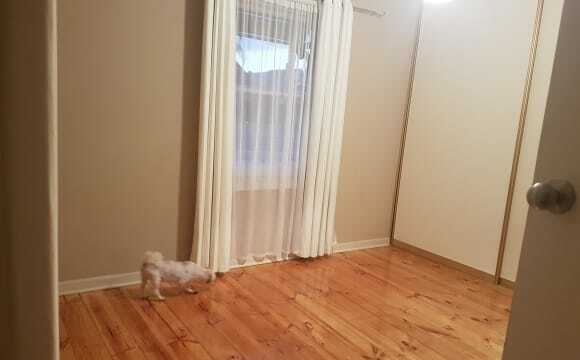 Great room comes with all furniture except a bed it will fit a single or a double bed, great newly renovated house. Really conveniently located, bus stop outside, Ascot Park train station very close, Coles, the beach, flinders and Marion shopping centre are just down the road. Prefer to share with a women. I seek a busy housemate who is female. 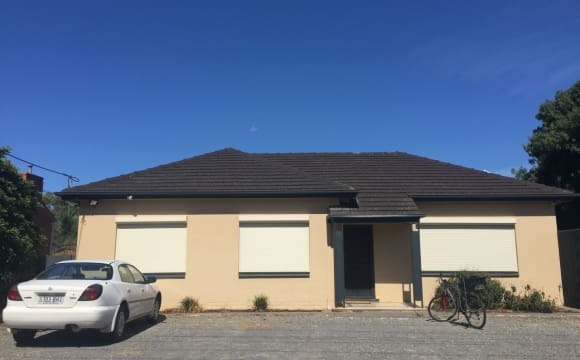 A beautiful room for a student or professional- A modern 2 bedroom unit in Mitchell Park -near Tonsley, Flinders, Glenelg, Marion and CBD and close to buses, train and shops. The unit is 60m2 with a great flow and polished porcelain throughout.- the kitchen/ dining and lounge are open plan. The bedrooms are spacious. Each has a huge wall- to wall built in robe with glass sliding doors. The second bedroom is available and has a ceiling fan and safety screens on the window. Happy to install wall brackets for a small TV. 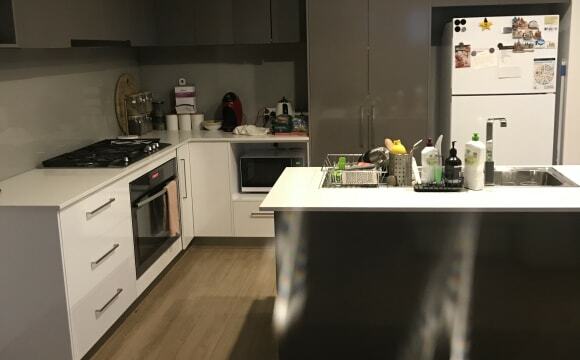 The kitchen is modern with a commercial pull-out spray tap, a gas stainless oven and compact dishwasher, and huge cream double-door refrigerator. There is a mirror and an extendable dining table. The kitchen and bathroom are fitted with hand hand crafted, glass finished timber acacia bench top. The bathroom is shared, has a brand new glass shower screen installed, a modern basin and tap ware, and a nook for a front loader washing machine. The unit has a dedicated off-street undercover car space and there is spare off-street parks too. Available May 7th COST $140 per week BILLS $40 per week for gas, electricity, water and internet. Toilet paper INCLUDED. Furnishings There is a huge built in robe, a single bed and a small built in desk. Small COMPANION ANIMAL negotiable. 3-12 months contract ending in June or February. 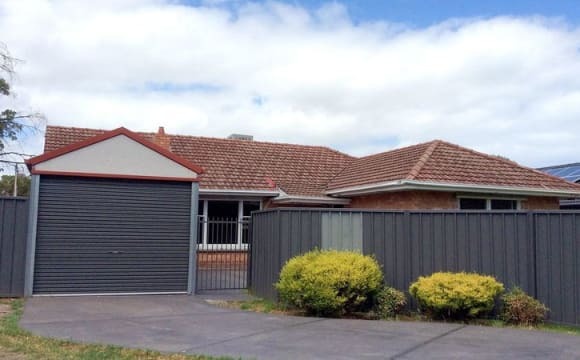 Few things about the house: - 15-20 min walk to Tonsley station with bus route travelling around Flinders University - 10-minute walk to a train to the city - Amazing pizza place 5-minute walk down the road and walking distance from Coles - Drive-way available for parking - a working evaporator that keeps the house cool - Netflix available and unlimited NBN internet (approx. 30mbps) available for 30$ extra a month (split 3 ways) - dog-friendly (currently has one medium dog) We have one room available left but as the last room available is quite small, we're willing to turn it into a study and have the second lounge room turned into a room (because let's be honest, who needs a second lounge room?) It will also still be a private room! The house has a large, fenced front yard. Unlimited NBN, Netflix, split system aircon, dishwasher, close to all facilities, room to park another couple of cars in the driveway. Nearly new, very secure with rima tag keyless entry, sunny and spacious. All rooms are rima tag lock secured and come with their own air-conditioner, fridge, TV, desk, chair and bed. Ample storage space and fully furnished including bedding and towels. Unlimited high speed internet provided. Close to Shops and Glenelg beach. On a city bus route and in walking distance to the Glenelg Tram. Limited locked garage parking available for $10 week extra. Non-smokers only. No pets allowed. The townhouse has a private courtyard and opens out to a large oval. The Mitchell Park and Ascot Park train station within a 10 min radius by foot. Downstairs is a large open plan living area with a kitchen, laundry, second toilet and lounge room. Upstairs comprises of two smaller sized bedrooms (one of which I live in) and a master bedroom. The larger master bedroom is size 3.56x3.22 and has built in robes, balcony, ensuite access to a nice renovated bathroom which has a shower and spabath. secure lock up garage. It is unfurnished. The smaller neat room is sized 2.47x2.87. I can furnish this one with a single bed ect. If required. Ducted cooling for all upstairs rooms. Gas heater for downstairs. I have Netflix a TV downstairs and internet, washing machine, fridge etc. 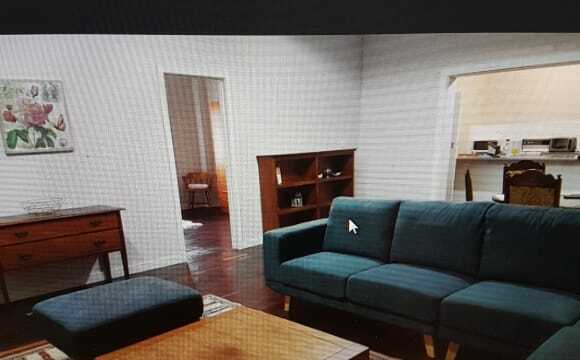 The photos are from the real estate agent. The bedrooms are unfurnished. Small room in a neat townhouse. Two living areas. street parking. Unfurnished but I can potentially furnish it with the basics if required. The townhouse has a private courtyard and opens out to a large oval. The Mitchell Park and Ascot Park train station within a 10 min radius by foot. Downstairs is a large open plan living area with a kitchen, laundry, second toilet and lounge room with TV. Upstairs comprises of two smaller sized bedrooms and a master bedroom. I have one of the smaller rooms. Renovated bathroom which has a shower and spabath. Ducted cooling for the upstairs rooms, gas heater for downstairs. I have Netflix, internet (shared payment) and a TV set up downstairs. Photos are from the real estate agent, I may update them at some point. The house is set off the road, so you can park your car if you have one in the garage. The house is clean,new and modern. The only thing you would need to furnish is a bed for your room, the rest of the house has furniture from the other girls. It has air conditioning and heating throughout the whole house. 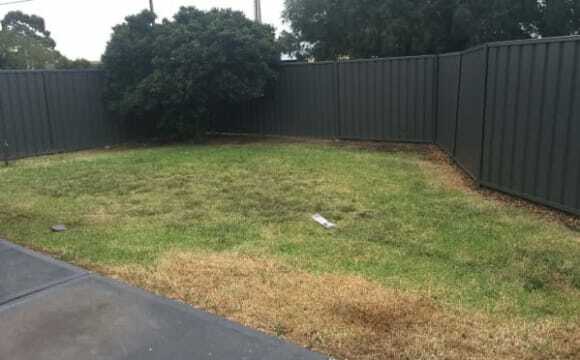 Has a little outdoor area with a strip of grass and a good space for a bbq. The lounge has a tv that is shared. The bathroom has a big shower (doesn’t show up in photos) and a bath. The laundry comes with a washing machine. And the kitchen with a dishwasher. 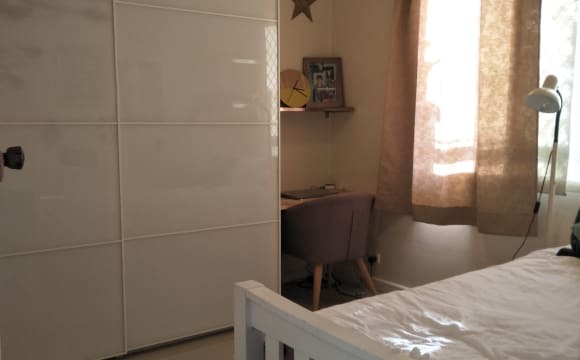 The room for rent has built in wardrobes with mirrors and nice carpet. No bills! Recently renovated unit in a quiet community. Property features include ducted heating &amp; cooling + fans throughout, shared bathroom with separate toilet, small backyard, off-street parking, full kitchen, washing machine + dryer and large TV in lounge. The room offered (pictured) is unfurnished, measuruing approx. 2.85x3.85m, with a nice leafy window view. Tolerance for the colour green a must! Morphettville is a great location with many facilities within walking distance, 5-10 minutes to IGA, cafes, post-office, gyms, bus stops, nice parks/wetlands,15 minutes to the tram and 30 minutes to Glenelg. I am looking for someone who is preferably in their 20s, reliable, tidy and easy to get along with. $210 p/w includes electricity, water and unlimited wifi. If this sounds good then I would love to hear from you! What’s great? Living with me! I cook a lot and at 30 still don’t know how to do it for one 🤦🏼‍♀️ I do have two cats, but they’re scared of everything so you’ll barely see them until they get used to you. Room can be furnished if required, short term rentals are ok, and if you’d prefer to pay one amount including bills then it would be $180. Although the room is a bit small, there’s another slightly larger room next to it which you could also use - bed would fit in either, your choice! Convenient location-5 min walk to the tram station very close to Castle Plaza. Large fully furnished bedrooms. Brand new kitchen laundry and showers . Large living room with seperate dining room and large backyard. Seperate bathroom for ladies and gentlemen with a shower and 2 toilets each. Each room with heating and cooling aircon. Close to all amenities including flinders uni, Marion shopping centre and the CBD. Quiet location at the back of a unit block. Only 8 units in total and mine is at the back with only one attached property. Close to shops/public transport. 15 mins drive from city. 15 minutes from the beach. Spacious lounge and kitchen. Study room. Pool table. Large backyard with outdoor entertainment area,. BBQ and gym equipment available. A/C, Dishwasher and washing machine. Internet wi-fi. Large house with main bedroom available for rental. Shared large kitchen with WIP, separate living and lounge areas. Alfresco out back for outdoor relaxing and small garden areas. House is fully furnished with most required items. Internet is connected with cable, so works and fast. Fully air conditioned. Off-street parking for three cars. House and Bedroom are furnished, with WIR and ens. 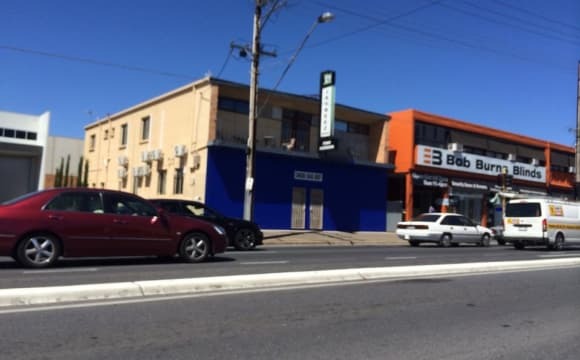 Awesome location... Central to Beach, CBD and Flinders... Lots of local cafes, takeaways and pubs that you can walk to, multiple local shopping centers within 1km and easy access to City, Glenelg for beach/movie or flinders uni/FMC south, all in 15 minutes. Huge Park for a jog/walk, or swing. 1.5 year old house (I am the owner). Full ducted AC/Heating with zone control. Unlimited NBN, Netflix, Ps4, PC on TV, smart lights in living areas, coffee machine, outdoor TV with soundbar in alfresco, chimenea for fires in winter I have an ensuite, so bathroom will be mostly yours, besides visitors. 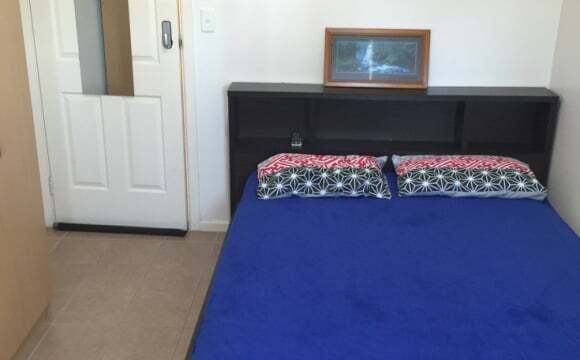 Room is currently furnished with a bed &amp; lamp as well as some shelving and an in-built robe. I can include bedside table and anything else you need upon negotiation, or I can remove what's in there. Any questions, flick me a message :) Internet and Gas included in rent - Elec &amp; Water split.